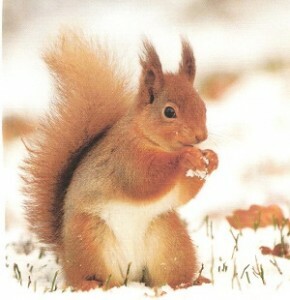 According to the Met Office March 1st is the first day of spring. As I sit here, watching the sleet falling outside, it’s not quite happening in Cumbria. And yet, we have the sturdy little snowdrops blanketing woodlands and hedgerows, the bravest of the daffodils are showing colour and I am woken every morning just before dawn by a song thrush singing in the top of one of the damson trees. A month ago – on 1st February the Celtic festival of Imbolc signalled the start of our transition from the Earth element of deep Winter to the Spring element – Air. Sylphs – the Air elementals – are associated with this new season of optimism and plans for the year ahead. While we may not be at the stage of actually sowing seeds, the preparation work is well under way. Seed catalogues promise that this year will be full of colour and plentiful harvest, but still we need to nurture and care for our soil before any of this can happen. So we keep our contact with the earth in the form of muck spreading, composting, clearing last year’s dead growth and if we can, start germinating the early seeds indoors for future planting out. In terms of the Medicine Wheel the Air element is about the East, dawn, new shoots, early childhood, ideas and plans. The Air element helps us to create realistic goals, resolutions and changes. This is the time of year to make commitments to yourself and others (rather than January 1st). You are much more likely to keep them in this new air of optimism. Animals associated with the Air element are, of course, birds and flying insects. 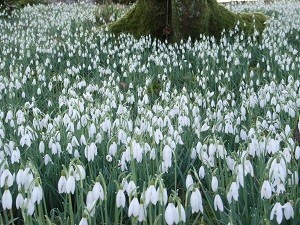 Snowdrops, blackthorn and daffodil are all Air element plants. 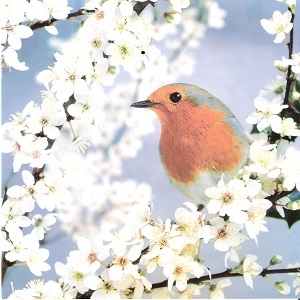 The Robin’s song in spring pierces the coldest mornings. For Humans, the Air element is our place of inspiration, creativity, spirituality and clarity. When an Air type person is living in balance these individuals are able to ‘think out of the box’ and will think in surprising ways. They have a typical Sylph-like body; slim, petite, ideal dancers or gymnasts. They seem almost able to fly! If the Air element is in excess, however, there can be anxiety and worry about the future, no real grounding of ideas into practical plans, or an over absorption in the abstract. When an Air type person comes into my counselling room, I spend a lot of time helping them re-gain contact with the earth and with their own bodies, which a lot of the time they hardly inhabit at all. Air types will often have food intolerances and will need to limit the food groups they can absorb, often missing out on ‘grounding’ foods like grains or root crops. A lack of the Air element leaves us unable to visualise a different future for ourselves, or struggling to make connections with others – putting ourselves in someone else’s shoes requires a leap of awareness which the Air element makes possible. As the Spring Equinox approaches (21st March) our connection with the Air element increases. Let’s make the most of this Spring – start putting plans, ideas and aspirations into reality.